Sylvester Stallone has his eighth Rocky movie coming to theaters this November with Creed II, and he is currently shooting Rambo 5. Somehow, he's managed to find time to come up with a new character called Sykes, a local detective hurrying to stop a psychotic bank robber and his new accomplices. Today, we have the first trailer and poster for Backtrace. Some crimes never let you go. That's the enthralling tagline for Backtrace, which teams Ryan Guzman, Sylvester Stallone and Matthew Modine in a thrill-a-minute action crime drama that looks unrelenting. Coming from Lionsgate Premiere, the movie will hit theaters very soon. It's playing screens across the country on December 14. It will also get a simultaneous release On Demand. Last month it was announced that Bruce Willis has signed on to star in 10 Minutes Gone for MoviePassFilms, and now comes word from Deadline that Michael Chiklis (Gotham) and Kyle Schmid (Six) have also joined the cast. 10 Minutes gone follows a man who loses ten minutes of his memory due to being hit by a stray bullet during a bank heist gone wrong. He must put the pieces of his broken memory together in order to find out who sabotaged the job and took the money, all while being pursued by a powerful crime boss (Willis) hellbent on recovering the cash. Brian A. Miller (Reprisal) is directing 10 Minutes Gone, which will begin production this October in Ohio with a cast that also includes Meadow Williams, Swen Temmel, Sergio Rizzuto, Tyler Jon Olson, Lydia Hull and John Hickman. Meadow Williams, Swen Temmel, Sergio Rizzuto and Tyler Jon Olson were previously announced as part of the cast. MoviePass may be having a few problems when it comes to its ticket subscription service, but sister company MoviePass Films is readying its first feature project since parent company Helios & Matheson Analytics’ acquisition of Emmett Furla Oasis Films, with Deadline reporting that Bruce Willis is set to star in 10 Minutes Gone. The film revolves around a man who loses ten minutes of his memory due to being hit by a stray bullet during a bank heist gone wrong. He must put the pieces of his broken memory together in order to find out who sabotaged the job and took the money, all while being pursued by a powerful crime boss (Willis) hellbent on recovering the cash. While MoviePass is still trying to figure out how to keep their movie subscription service alive, their film division, MoviePass Film, is moving forward with a new film project called 10 Minutes Gone and Bruce Willis is set to star in it. The story follows a man "who loses ten minutes of his memory due to being hit by a stray bullet during a bank heist gone wrong. He must put the pieces of his broken memory together in order to find out who sabotaged the job and took the money, all while being pursued by a powerful crime boss hellbent on recovering the cash." Exclusive: MoviePass Films CEOs and Co-Founders Randall Emmett, George Furla, and Ted Farnsworth have set Bruce Willis to star in 10 Minutes Gone, the first production start since MoviePass parent company Helios & Matheson Analytics acquired Emmett Furla Oasis Films to launch MoviePass Films as a subsidiary to its struggling ticket sales business. Brian A. Miller will direct a script from Kelvin Mao and Jeff Jingle. 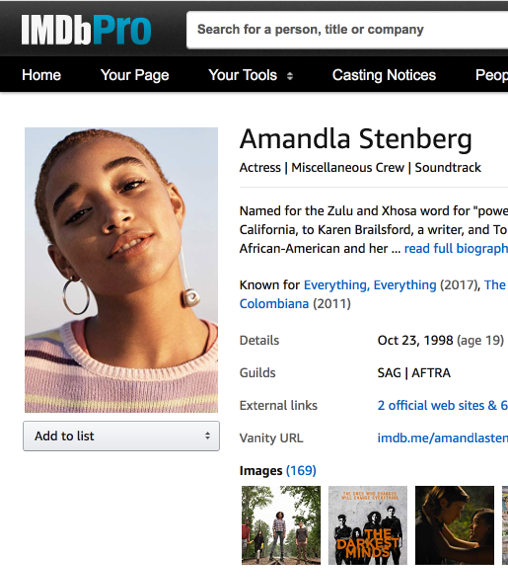 Also starring is Meadow Williams who recently completed filming on Boss Level, opposite Mel Gibson and Naomi Watts, and After. It marks the fourth collaboration between Emmett, Furla, and Williams. Swen Temmel, Sergio Rizzuto and Tyler Jon Olson round out the cast with more coming for a September 10 start date in Ohio. This will mark the third project for MoviePass Films after the mobster drama Gotti starring John Travolta and sorority thriller The Row starring Randy Couture and Lala Kent. We’re still waiting on a release date for Escape Plan 2: Hades, but that hasn’t stopped Emmett/Furla/Oasis Films from kicking off production on the third instalment in the series, titled Escape Plan 3: Devil’s Station. The third film is being directed by John Herzfeld (15 Minutes) and sees Sylvester Stallone back as Ray Breslin alongside his Hades co-stars Dave Bautista, Jaime King, Lydia Hull, and Tyler Jon Olson. New additions for the third instalment include Devon Sawa (Final Destination), Harry Shum Jr. (Shadowhunters), Malese Jow (The Vampire Diaries), Max Zhang and Sergio Rizzuto. According to Deadline, Escape Plan 3 will see Ray Breslin (Stallone) and Trent DeRosa (Bautista) joining forces again in order to rescue one of their team members who is held captive at the penitentiary known as Devil’s Station, a prison where no one ever gets out. Hayden Christensen's career never really took off the way he expected it to after he made those Star Wars prequel films. Delivering that ridiculous dialogue that George Lucas came up with for the film didn't do him any favors. Hayden Christensen only has one shot to save his son's life in the new trailer and poster for First Kill with Bruce Willis. This action-thriller is the latest from director Steven C. Miller, who recently wrapped production on the highly-anticipated Escape Plan 2: Hades, starring another big screen icon, Sylvester Stallone. First Kill actually marks the third collaboration between Steven C. Miller and Bruce Willis, following 2015's Extraction and last year's Marauders. Lionsgate debuted the first trailer today, along with the poster which features both Hayden Christensen and Bruce Willis. In order to reconnect with his son Danny (Ty Shelton), big shot Wall Street broker Will (Hayden Christensen) takes his family on a hunting trip to the cabin where he grew up. While out hunting with Danny, the trip takes a deadly turn when they stumble upon several robbers and witness the murder of one of the criminals. In 2015 Steven C. Miller, director of horror hits such as The Aggression Scale, Under the Bed and Submerged, made a move into the action genre with the Bruce Willis-featuring Extraction. With his latest film, Marauders, he re-teams with Willis for a film that tells the story of an untraceable group of elite bank robbers execute the perfect heist, making off with millions in cash whilst leaving a dead bank manager in their wake. Christopher Meloni (TV’s “Law & Order: Special Victims Unit”) and Bruce Willis (Die Hard franchise) star in the action-thriller Marauders, arriving on Blu-ray (plus Digital HD), DVD (plus Digital), and Digital HD September 13 from Lionsgate. Currently available On Demand, Marauders begins with a string of bank robberies leading one man to uncover a conspiracy that could bring an entire city to its knees. The action-packed thrill-ride also stars Dave Bautista (Guardians of the Galaxy) alongside Adrian Grenier (HBO’s “Entourage”), Johnathan Schaech (Vice), Lydia Hull (Escape Plan), Tyler Jon Olson (Precious Cargo), and Texas Battle (Final Destination 3).